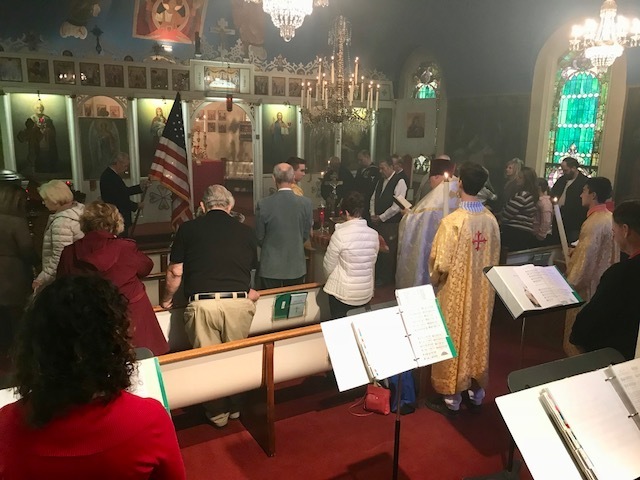 On Sunday, November 12, 2017 Father Andrew and the faithful of Holy Assumption Orthodox Church held a service to honor the veterans of both the parish and the United States. Those veterans of the parish were asked to stand. 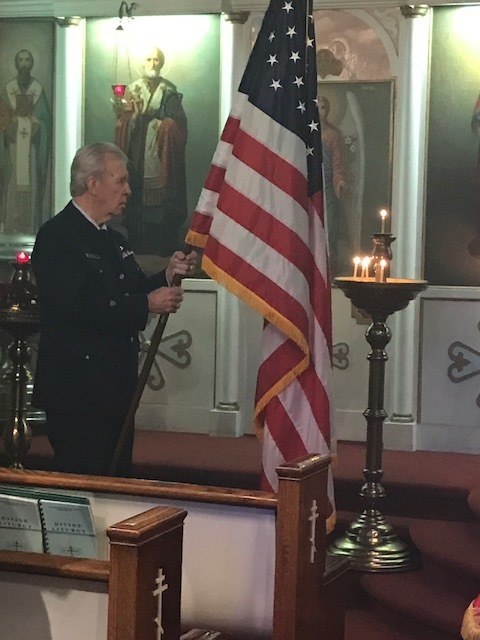 The first photo shows Mr. Joe Rose holds the American Flag while Veterans, Bill Glovinsky, David Linder, David Martin, Ron Royhab and Matthew Adamcio stand. 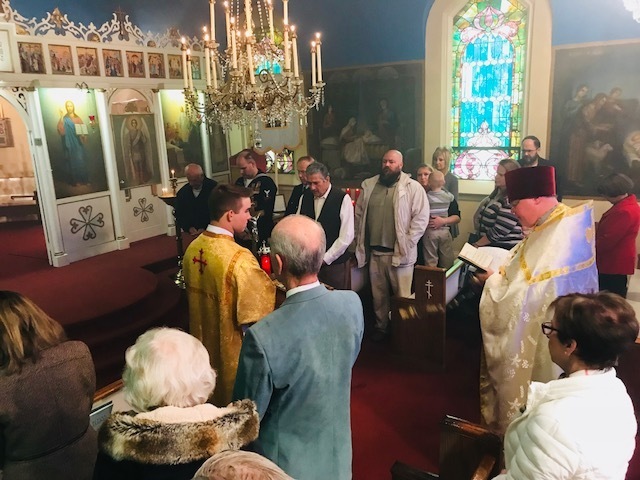 It was a solemn and poignant time, though much appreciated by all who attended. Thank you to those in the Armed Forces who have served our country. May God bless you all.